Now more than ever, couples and wedding planners alike are looking to alternative entertainers to make receptions and parties the most memorable events imaginable. The classic wedding singer and DJ services are of course still top of the charts, but increasing interest is being thrown the way of the London magician by the day. Which of course makes perfect sense when you think about it – a totally magical day that’s to be remembered for life, taken to new heights by a professional who specialises in magic itself. As most will know, however, there’s often a very fine line between a magician that blows the minds of his/her audience and one that bores them all senseless. 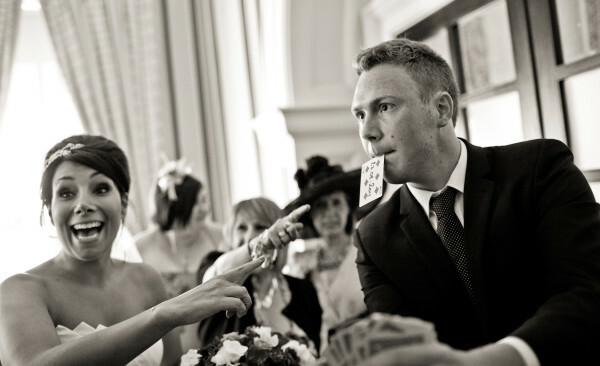 Suffice to say there’s really no room for the latter when it comes to wedding magicians, which is why it’s important to be extremely proactive when it comes to the sourcing and hiring process – taking things for granted being a bad idea to say the least. First of all, the kind of show and expertise needed to fit in perfectly with a wedding are both very different than those you’d expect in other instances. As such, one of the most important considerations of all to factor in prior to hiring is the kind of experience the magician has. It’s one thing for them to say that they can do pretty much anything, but how many weddings have they performed at in the past? Some will have done hundreds, others a handful and for some this may be their very first time at bat. And as practice very much makes perfect, it’s those with the most experience that usually make the safest bets. Weddings very rarely get cancelled or reorganised at the last minute…despite what a fair few movies might have us all think. Nevertheless, as far as the wedding day’s actual schedule goes, it’s rare for any wedding to run with pinpoint precision – delays and re-shuffles are common to say the least. As such, you need to make sure that the magician you book is both flexible and willing to accommodate these kinds of changes. If, for example, they’re booked for 5pm and you find yourself having to shift them to 6:30pm, it’s no good if they’ve already got another show booked for 6:15pm. Find out how flexible they really are and make sure there’s at least a little breathing room in there. Never take for granted that the magic show they put on will be suitable for the whole audience or to everyone’s tastes. The reason being that not only are there dozens of different types of magic, but a vast array of different show styles. Some set out to shock, others are more about comedy and then there are those that take things extremely seriously – often to extremes. As such, you need to think about who will be there and what kind of show/magic would work best – only then can you go about the process of finding the right magician. Be realistic when it comes to both the venue and its location – both of which will impact the type of show that can be put on. For example, if things are to take place in a tiny tent in the middle of nowhere, you might struggle to set up the complex electronics or pyrotechnics system the magician needs. Likewise, a sprawling hall with a massive stage may be great for some things, but close-up magic with no screens to share the action will go down like a lead balloon. Think about the space itself and ask the magician if their show will be compatible. Last but not least, it’s always a good idea to seek recommendations from those that have used these kinds of services before. If this isn’t possible, the next best thing is to check out their ratings online in the form of reviews, testimonials and any other information you can find out with a web search or two. Chances are what you find will be more than a little revealing in one direction or the other, so be sure to read a good selection of reviews and write-ups to get a balanced view of how they perform when put to the test.